“Ongkanon, (Ong-ka-non) is God’s messenger who offers love and guidance as you progress on your pathway Home. He often acts as an intermediary, bringing remembrance of your spiritual destiny, and his desire is to assist in your quest for truth. Call on Ongkanon often to part the veil of illusion and connect you with your Eternal Self. The angels communicate at the soul level, without words. Their deep feelings are transmitted telepathically allowing no room for misunderstanding. Humans have developed a verbal method of interchange that is custom made for deceit, misinterpretation, and conjecture. To further complicate matters, most of us have been taught that it is not safe to say how we really feel. What are you afraid to expose and why? Strive to reach a level of loving but brutal honesty in relationships. Going deeply into your feelings to reveal the truth invites an incredible outpouring of love and understanding. Ongkanon can be a remarkable communication assistant if you just ask. Then stay alert for insights into your own feelings and the lessons of relationships with others. When you have feelings for others – love, anger, resentment or uneasiness – ask to understand the higher meaning for being with this person. If the relationship is troubled or karmic, seek healing and forgiveness. It is not necessary to like everyone; uncomfortable feelings could be a valuable warning that this person is not for you. If the relationship is joyous, revel in the ecstasy. Ask Ongkanon to enhance communication with family members through love and peace. Seek ways to understand your differences, while striving to appreciate your sameness. We all just want to be loved. Write letters to the Guardian Angel of anyone who troubles you and ask for the good of all concerned. What you are afraid to say reveals where you need to work. Are you reluctant or unable to tell others how you feel when things come up? Do you even know how you feel? Are you fearful of their response? Do you freeze up so you can’t speak? Do you explode in rage? Can you trust others to honour your feelings? Do you try to please at any personal cost? Perhaps you could say anything and they would hear with an open heart and respond in love! Relationships that are expansive, ever striving for more heartfelt true communication, are precious gifts of love. The fear, anger, lack of trust and hurt that relationships trigger mirror inner feelings. Your willingness to explore your dark side, to deeply feel what you fear the most and release in love, will open the way to better relationships with others. There is a special emphasis right now on communication. 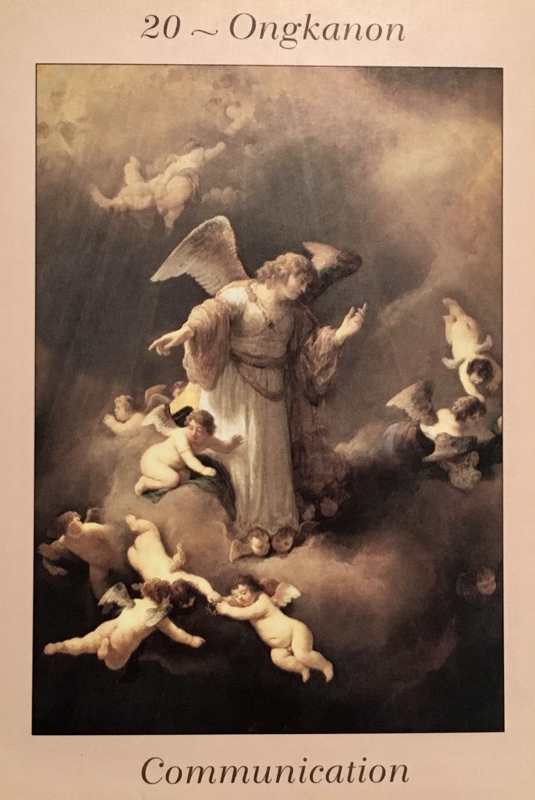 Clear and heartfelt communication: with yourself and your loved ones, with your co-workers and friends and also with your angels, guides and galactic counterparts. Fearless connection held in the Highest Order of Being; for the Highest Good Of All. The most authentic voices of our hearts and Souls being shared with the world in peace, harmony, truth and Love. We must learn to speak only truth; to leave all the lies, white and otherwise behind. We must commit to releasing all judgment and replacing it with unconditional Love. As we ascend, we will find that our voices are no longer the only way we communicate. As we become more and more crystalline, we will also become more telepathic; it is happening already. There really is no way to be deceptive when you are communicating telepathically as both thoughts and feelings/emotions are being read and assimilated simultaneously. Truth is the only option. As each of us commits to truth, we encourage others to do the same. One hundred honest monkeys is all we need to start! There is another aspect here and that is being truly honest with ourselves about what it is that we wish to create. Only then can we work with the Universe to make it happen. Be clear with our intentions, be clear with our prayers. And be kind to ourselves. There are many benevolent beings who also wish to communicate with us, angels and Archangels and guides, passed over loved ones, ancestors and ancients, the elemental realm and our cosmic guides. We are finally turning a corner and being open to the idea that we are not the center of the Universe (thank goodness for that!) We are opening up to the idea that maybe, just maybe (of course~~) there is life out there. Like how could there not be? Of course we are all entitled to our opinions, but with zillions of galazies and a seemingly infinite cosmos, it would seem very possible! Many of these beings reside in different, higher frequency dimensions than our third dimensional reality, and many of them are patiently waiting to help us to ascend to a more peaceful and loving existence. Consider being open to that. Consider being open to communicating with these benevolent beings.